Sister Rabbit enjoys visiting her friends and relatives in the forest. She also enjoys playing tricks on the other animals, and sometimes Rabbit’s tricks get her into trouble. 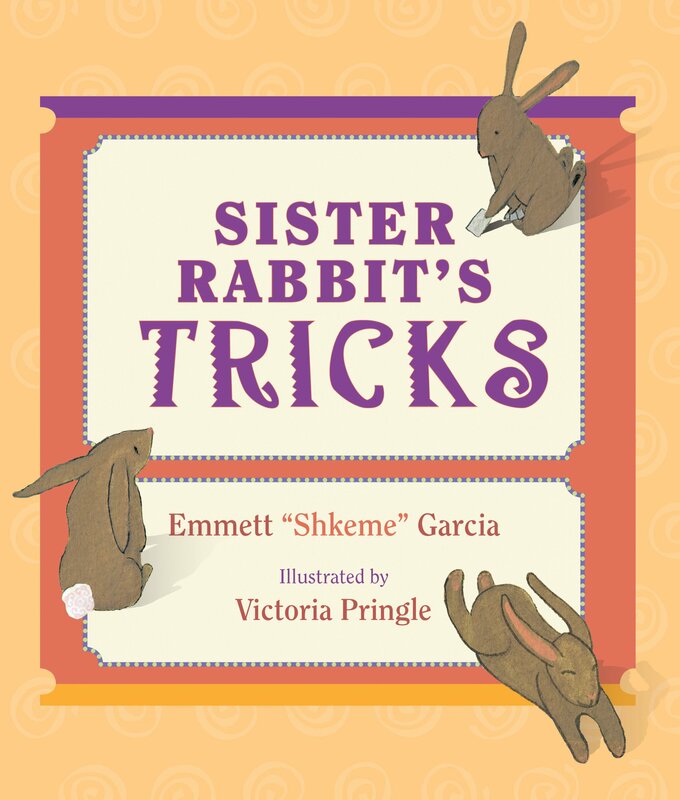 Inspired by the many rabbit stories from the pueblos of New Mexico, this story of Sister Rabbit and her antics shows us a trickster animal, wily and lovable, who can fool her friends but needs to learn some lessons about how to get along in life. Emmett “Shkeme” Garcia (Santa Ana Pueblo) is the author of Coyote and the Sky (UNM Press), also illustrated with Victoria Pringle’s cut-paper pictures.